My least favorite new feature of OS X Lion is its AutoSave functionality — most especially with two apps I took advantage of all the time under Snow Leopard: Preview and TextEdit. Well, after having my documents, PDFs, and images helpfully overwritten by Lion one too many times, I decided to see if I could get Snow Leopard’s TextEdit and Preview working under Lion. This How To is the result of that experiment. This is an experiment. From my testing so far, it seems to work pretty darned well; however, even though I’ve successfully replaced Lion’s included utilities with little incident, these steps may, at best, break some core functionality of other apps you depend upon every day. Then again, it may very well reduce your Lion-running Mac to a mass of molten aluminum and glass. So, even though reverting to the Lion editions of these apps is quite easy (see below), please be extra sure you’ve got a good backup (or two) on hand before proceeding so if things should go horribly and inextricably awry, you can easily restore things to normal should you need to. 1) You’ll need access to a Mac running a fully updated and patched installation of Snow Leopard 10.6.8. If you no longer have a Snow Leopard-running Mac of your own, you might borrow a few minutes on a friend’s Mac, or restore the files mentioned below from an old backup, but please be sure you’re properly licensed to use these files and that you only use trusted sources to locate them. In other words, don’t look for or download any of these files from the open Internet. The reason we’re renaming these apps rather than outright replacing the Lion editions is because the next time you update Lion (for example, to 10.7.3), your carefully restored editions of these apps would overwritten. 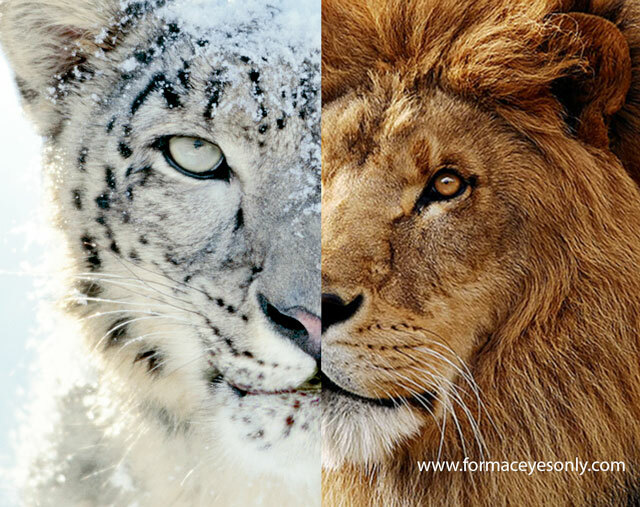 5) Copy Snow Leopard’s /System/Library/PrivateFrameworks/MeshKit.framework from your Desktop to Lion’s /System/Library/PrivateFrameworks folder. I found no Lion equivalent of this folder on either of my Lion-running Macs, so this should be a straight-forward copy with nothing overwritten in the process. This folder may get deleted again the next time you upgrade Lion. 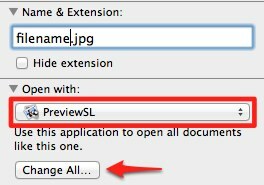 6) Copy PreviewSL.app from your Desktop to Lion’s Applications folder. 7) Copy TextEditSL.app from your Desktop to Lion’s Applications folder. You can now use the newly restored Snow Leopard editions of Preview and TextEdit to open your documents, PDFs, and images. Finally, if you’d like to associate your documents with the Snow Leopard editions of the apps (in my case, I wanted Plain Text, PDF, JPG and PNG images associated with the apps), simply Control Click (right-click) one of the file types, select Get Info from the Context Menu, in the Open With section choose the “SL” edition of the app, and then click Change All. UPDATE 11/26/11: It seems associating documents with the old editions doesn’t work quite as well as it first appeared. Please see note below for more on this. Now how about if you’d like to put things back the way they were? Then re-associate your files with the Lion editions. If you have any questions or comments about this How To, please write to me or leave your comments below. George had issues getting Lion to associate his documents with the renamed Snow Leopard editions of Preview and TextEdit. Well, I apparently didn’t do enough testing, because it looks as if I’m having the same issue. However, Open With off the context menu continues to work fine. That said, George’s solution to the file association problem is below. Again, keep in mind that even though George takes the extra step of archiving the Lion versions before deleting them, these steps are for those who like to experiment with their Macs, and that a good backup and/or clone of your Lion-running Mac is always a good idea before undertaking a procedure such as this. Finally, as I mentioned above, outright replacement of Lion’s Preview and TextEdit will likely mean following these steps again after the next major update to your Mac is installed. I couldn’t get my computer to let me reassign the new (old) versions as the defaults, or even to rename them. I did keep them from working by entering their packages and renaming the Unix Executables, but that was a less than desirable workflow since clicking a file brought up a message that the App was corrupted or missing, and I then had to explicitly open the file in the new (old) versions. Nor would Lion let me rename or move the old (Lion) Apps. Reggie Ashworth’s AppDelete to the rescue. After zipping Preview and TextEdit, and moving the Zips to a folder in Documents, I then AppDeleted them. I moved the AppDelete Trashes Folders from the Trash, into my Documents folder, renamed PreviewSL and TextEditSL to just Preview and TextEdit, and they now function as they should, opening files associated with the apps. I did a hard reboot to be sure Lion wouldn’t restore the deleted versions from a System Folder and, at least on that reboot, all stayed as I wanted. Mike on For Mac Eyes Only – Silly Rabbit, Tricks Are For Mac Users! Lisa McLennan on For Mac Eyes Only – Silly Rabbit, Tricks Are For Mac Users!